Late this week – someone stole Nick’s new cell phone while he was playing basketball at our local rec. center. Ordinarily, he would keep it under lock and key – but he felt that if there were an emergency at home he should keep it handy. Just in case. Well, “just in case” proved to be costly, time consuming, and aggravating. We, both, have been working so hard at “turning the other cheek”, seeing things from other’s perspectives and overall thinking positively. That when something like this happened – we were kind of blindsided. For a brief moment this week- I was REALLY upset. Almost instantly, I began to find myself plummeting down on a slippery slope of negativity. Truthfully, I can’t say I’m overly surprised by the disregard and self-centered nature of people. However, I suppose with all the positive thinking Nick and I have been working on, I was naive enough to think others would be too. Be kind to others – and others will be kind to you. Unfortunately, that’s not always the case. Rose-colored glasses clearly work best when you have your own prescription, I guess. Whenever I’m stuck in a rut, overwhelmed, sick, or in need of a reality check I phone two people: Nick or my mother. Since, Nick was clearly not the person to calm me down, I reckoned a message to Harriet was just what the doctor ordered. Not surprisingly – she brought grounded and reminded me that I’ve experienced some really big losses. Important losses. Heartbreaking Losses. A cell phone could always be replaced. BAM! Just like that – everything fell back into place. After all, how could anyone not be in a better mood – after finding the first strawberries of the summer ready for the picking? 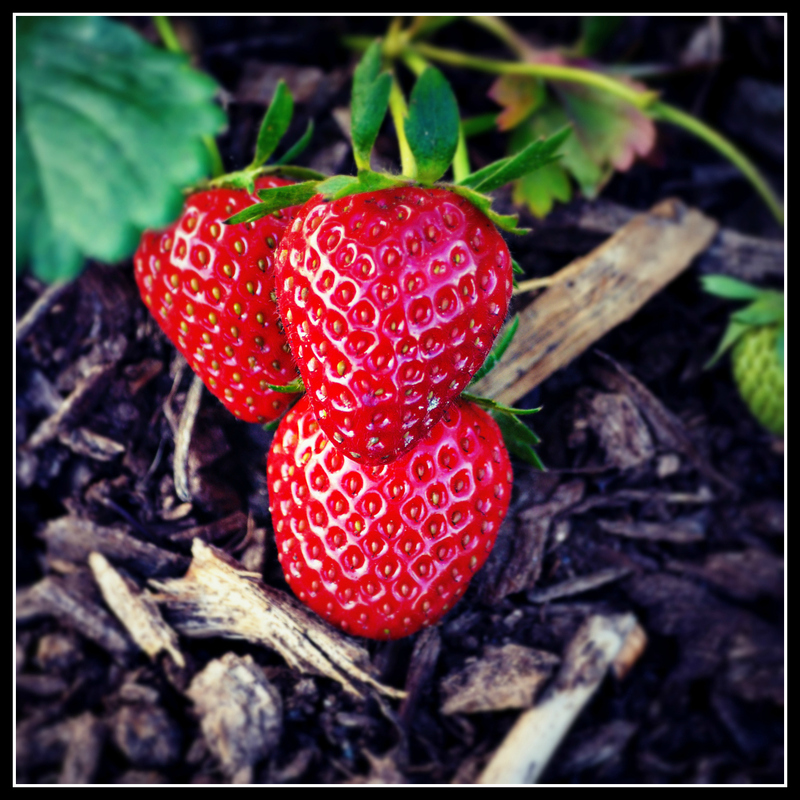 Now, my only problem is – what to do with only 3 strawberries? « Procrastination? Or the Art of Putting Things Off ?